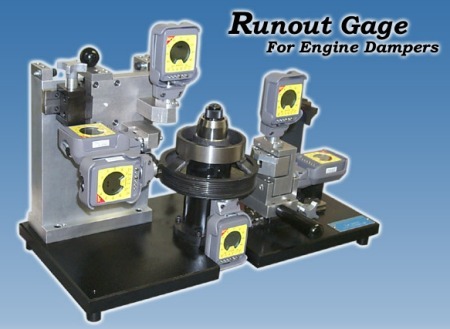 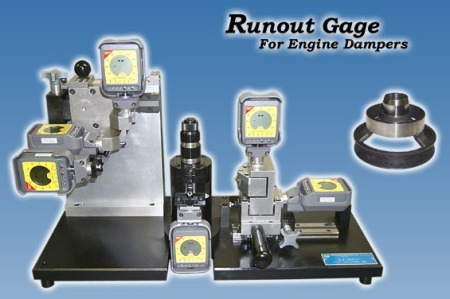 This fixture checks 4 runouts and 1 radial/axial runout on engine dampers (Serpentine pulley). 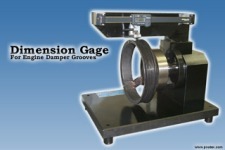 All indicators except one (center) moves in and out to load and unload the damper. 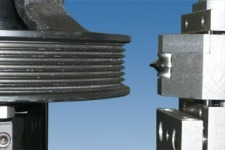 The two indicators on the right checks axial and radial runout of the Serpentine pulley. 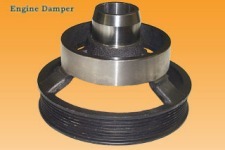 The part is centered accurately with a PDI ball arbor. 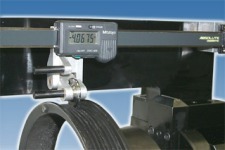 The bottom pictures show a fixture that checks the lengths of grooves between themselves and from other surfaces. 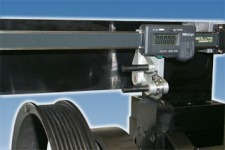 The following images illustrate a fixture that checks the lengths of grooves between themselves and from a reference surface.